In 1853, City of Pula, Croatia, was chosen to be a main Austro-Hungarian war port – Zentralkriegshafen. Navy started to develop rapidly and the city of Pula started to grow, more people were living in town. A need for bigger burial space was developed. Up until then, burials were performed in little graveyards around city churches. Ministry of Navy has bought 4000 m2 of land on the hill called Valcana form Giovanni Dobrovich, citizen of Pula for an amount of 1.977 guldens. On the 2.10.1862 a group burial of 30-35 deceased was performed. Because of the ugly smell, from year 1870 deceased were buried separately, and from year 1873 the burials were noted in a book of deceased. Pula was important as the main military port of the Austro-Hungarian Empire. It was the main naval base of the Austro-Hungarian marine as well as a ship building centre. After a long period of the Austro-Hungarian dominion, Pula and the rest of the Istrian peninsula were annexed to Italy at the end of the First World War. The naval cemetery of Pula (german: K.u.k. 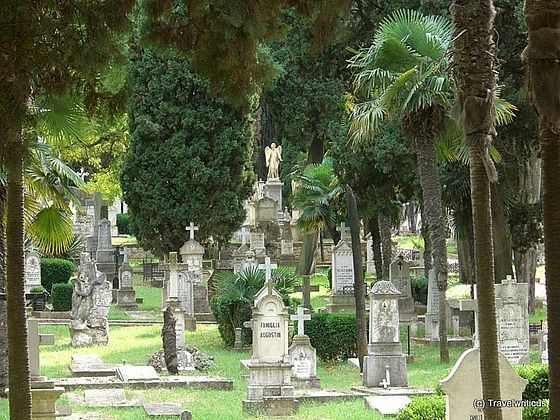 Marinefriedhof) is one of the largest military cemeteries in Europe. It was built in 1862 when former Naval Ministry purchased 4.000 m2 of land for the purpose of burial of military personnel. 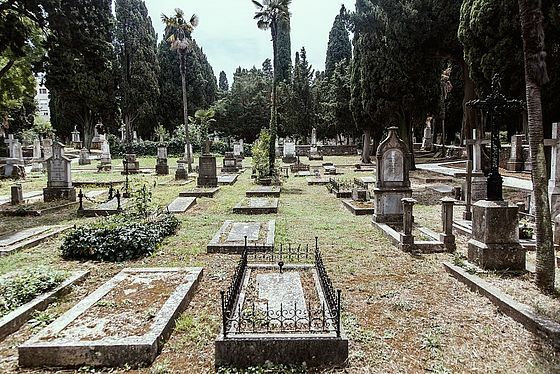 Although initially the burials were done in burial tombs, soon, in year 1870, burials were carried out into individual tombs, which improved hygienic conditions. Subsequently, the Navy's cemetery expanded to today's surface area and reached 22,039 m2. 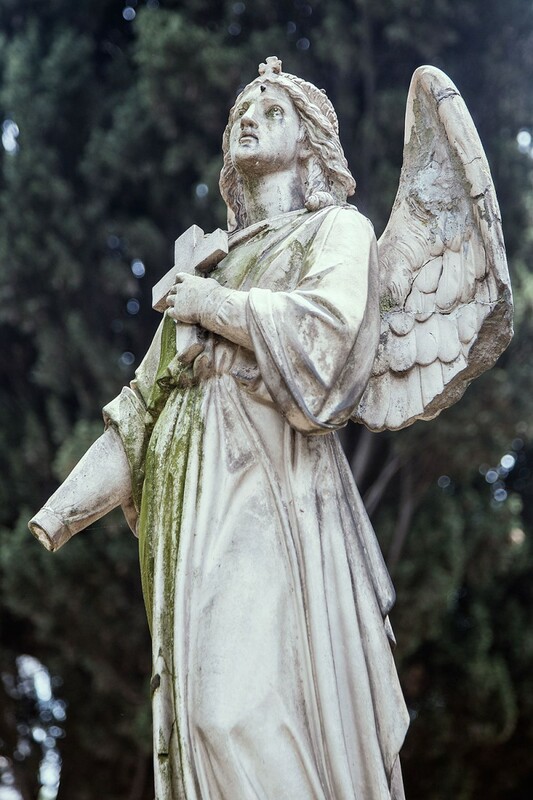 During the First World War, a large number of war victims were buried in the cemetery, primary officers and soldiers of the Austro-Hungarian Monarchy and later, soldiers of other armies. Victims of a Marine Accident at Baron Gautsch (1914) and crew members of the submersible battleships Szent Istvan and Viribus Unitis (1918) were buried in this cemetery, making it even more special. During the war and in 1918, after the end of the war, collective graves were re-edited, especially for the deceased of the severe flu epidemic of the last winter of war (1917/1918). The decision was made to stop the burials in this cemetery, even thinking of building a new cemetery. At the Cemetery, 12 Austro-Hungarian admirals were buried. Admiral (Commander of the Austrian Navy A. Bourguignon von Baumberg 1879th etc.) and one Turkish Admiral. 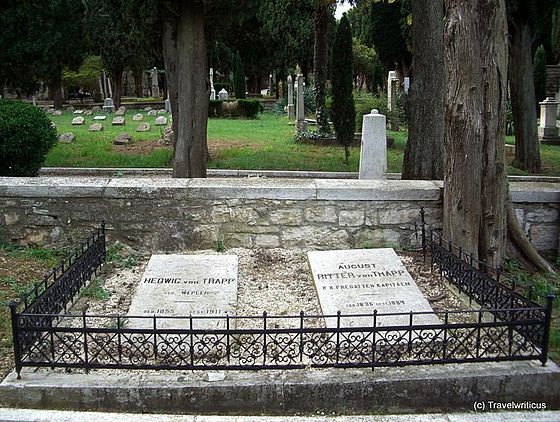 Also, Hedwig and August Trapp, parents of Baron von Trapp were buried here. 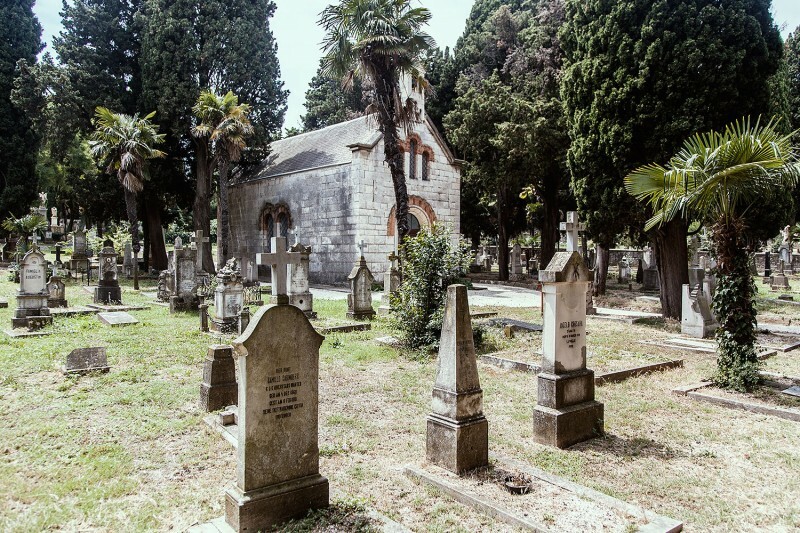 The municipality of Pula declared this historic cemetery a heritage site in 1960 and it was restored during the 1990s. The cemetery is included in the list of monuments under the protection of the Hague Convention.